Just about every day, as wine o'clock approaches, you can find me uncorking or unscrewing a new wine adventure. Being a wine enthusiast, a wine blogger, and someone who appreciates and enjoys the liquid expression of a place, a person’s vision, and Mother Nature’s influence -- I find wine to be one of the most intriguing beverages in the world. It is an area of interest where there is always something new to taste and learn, as well as a sea of friendly "wine peeps" to meet in real life and via those wonderful and time-consuming social media portals called Facebook and Twitter. With the seasonal warmth of summer upon us, below are three rosés that are sure to enhance backyard cookouts or get-togethers with family and friends. All three are drier in style, simply meaning not sweet, and are bright, versatile, and have the ability to pair well with a wide variety of foods. For further information and where you can find these enjoyable wines, please see my tasting notes below. 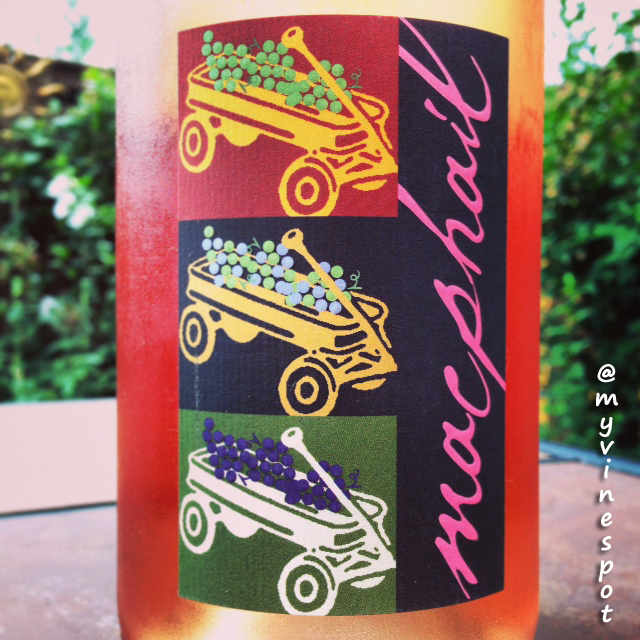 Review: MacPhail Family Pinot Noir 2013 Rosé of Pinot Noir (SRP $22): Made by the saignée process, this pink colored rosé exhibits deep red berry fruit flavors with a noticeable presence of rose petals and citrus blossom. It’s medium-full in the mouth, with gentle, but cleansing acidity, ending in a pleasant fruit-driven finish. I enjoyed a bottle out back with a satisfying plate of barbecue chicken, baked beans, and potato salad. This refreshing and pleasing rosé is an excellent choice to serve at your next backyard cookout and has enough oomph to partner up to fatty fish like grilled salmon and tuna. Approximately 400 cases of this wine were produced. Region: Sonoma Coast, California. (Other info: ABV 14.5%, native and inoculated ML, cork enclosure.) 89 Points. Click here to find this wine. 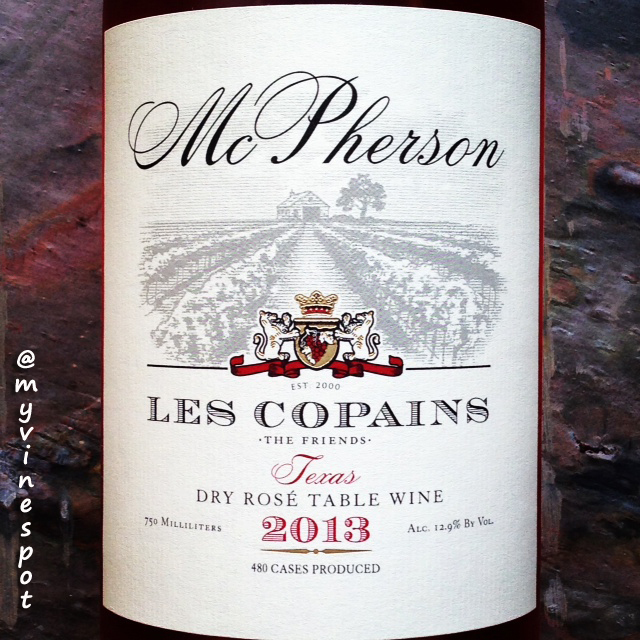 Review: Mcpherson Cellars 2013 Les Copains Dry Rosé (SRP $12): A medium watermelon color, this pleasing dry rosé is composed of 55% Cinsault, 30% Mourvedre, and 15% Viognier. A vibrant core of red berry fruit fills the nose, followed by (primarily) raspberries and cherries on the palate that range from fresh to candied. The flavors wrap nicely around a spine of bright, citrusy acidity with a medium-length clean, slightly tart finish. This rosé is versatile, food-friendly, and synonymous with summertime sipping and outdoor grilling. It also offers very good value for money. Approximately 480 cases of this wine were produced. Region: High Plains, Texas. (Other info: ABV 12.9%, stainless, screw cap enclosure.) 88 Points. Click here to find this wine. 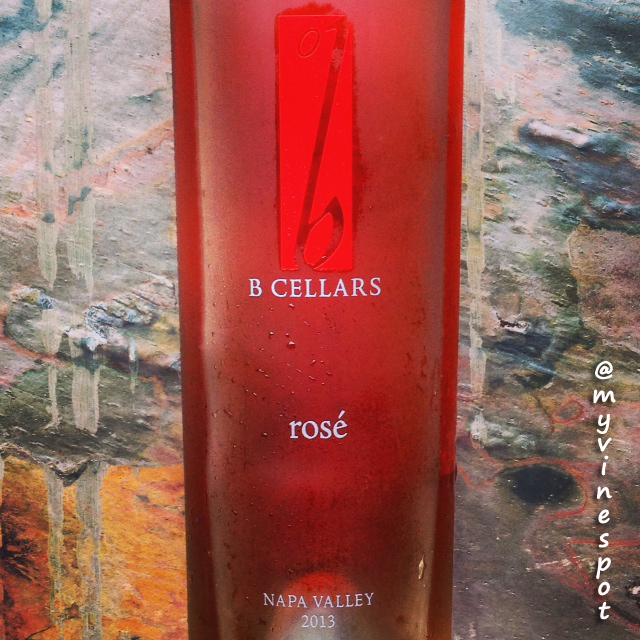 Review: B Cellars Vineyards and Winery 2013 Rosé (SRP $26): Done in the saignée style, this medium salmon colored blend of 85% Cabernet Sauvignon and 15% Syrah offers a bright melody of fleshy red berry fruit flavors suggestive of cranberry and raspberry with a hint of rose petal. This wine was aged in neutral barrels, which can be sensed on the back-end, finishing up with refreshing, thirst-quenching acidity. Overall, an enjoyable yet substantive rosé that can stand up to grilled chicken, pork chops, and fatty fishes. Region: Napa Valley, California. (Other info: ABV 14.3%, matured in neutral oak barrels, saignée method, cork enclosure.) 87 Points. Click here to find this wine.